Imagine a shining utopian city with flying cars, robots, and towering glass buildings filled with elaborate technology. Who do you see inhabiting this city? One concept might change your view: Afrofuturism. Although elements of Afrofuturism itself can be seen as early as the 1950’s in the works of George Clinton and Sun Ra, the term first appeared in Mark Dery´s 1994 essay, “Black to the Future.” Dery defined Afrofuturism as the intermingling of sci-fi and fantasy with African influences, something rarely seen in modern culture. This idea transforms visions of a predominantly white future into one filled with black arts, innovation, and prosperity. One of the most recent and popular examples of Afrofuturism is Ryan Coogler´s 2018 hit movie, “Black Panther.” Centering on the fictional Wakanda, an African nation untouched by colonization, the movie displays African tradition, dress, language, and ways of living with a twist of complex scientific and technological advances. The story considers the responsibilities of Wakanda in sharing these Afrofuturist gains with the world. Other examples of Afrofuturism can be found in today’s music and films. Musician Janelle Monáe is greatly influenced by Afrofuturist themes, often speaking about androids and the future in her work. Black artists like Erykah Badu, Rihanna, Missy Elliot, Solange and Beyoncé have represented the aesthetic through their dress and music. Up-and-coming director Ava DuVernay directed the newest “A Wrinkle in Time” movie featuring leads of color and Jay-Z´s “Family Feud” music video about a world led by women of color in 2050. Soon, she will be adapting yet another book for the screen with Octavia Butler´s 1987 sci-fi novel, “Dawn,” which follows a black woman in her alliance with aliens to try and bring the long-gone human race back from the dead. The concept of Afrofuturism continues to grow in art, music, fashion, and film as part of the evolution of black culture. 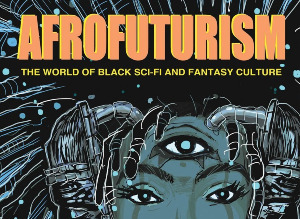 Afrofuturism is a means of reimagining a white-dominated future into something that fully embraces elements of the African diaspora and envisions possible futures of an uncolonized Africa. If I asked you who lives in the great utopic city now, how would you answer?